Home Promos smart Enjoy freedom to do more with FREE 1GB from Smart, TNT, and Sun! 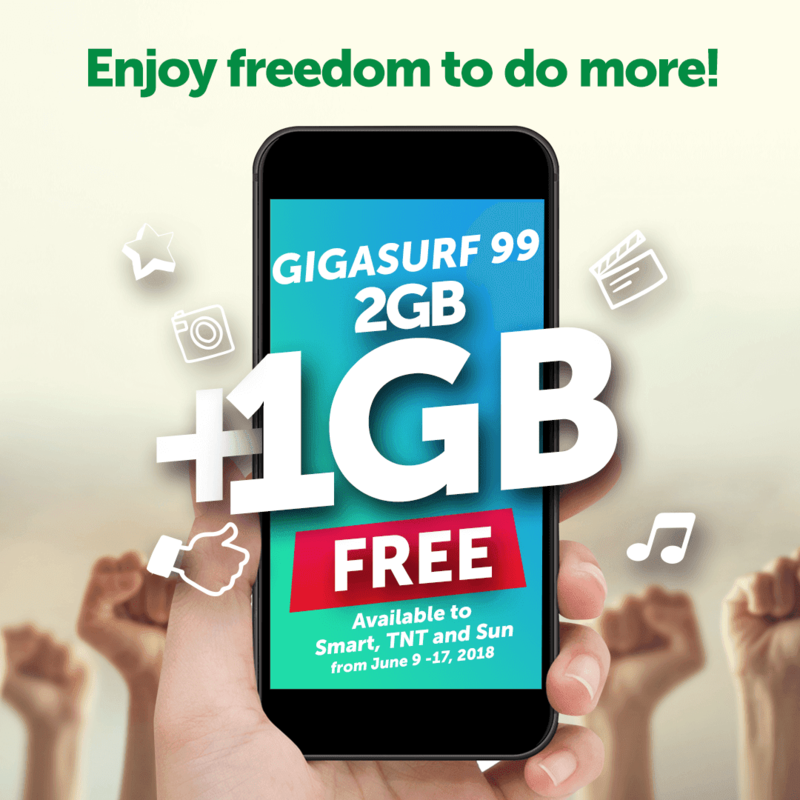 Celebrate freedom in a big way by enjoying FREE 1GB data when you register to Giga Surf 99 using your Smart, TNT, or Sun prepaid account until June 17, 2018. If you are a Sun customer, get Giga Surf 99 by texting GIGA99 to 247. With 3GB, there’s enough data to score the perfect deals on your favorite online stores, discounts on shopping apps, and book promo seats from budget airlines.